The living room is one of the busiest rooms in a home. You spend quality time with your family, entertain guests, relax, etc. in the living area. As much as possible, you want to make this room comfortable and beautiful, as well. 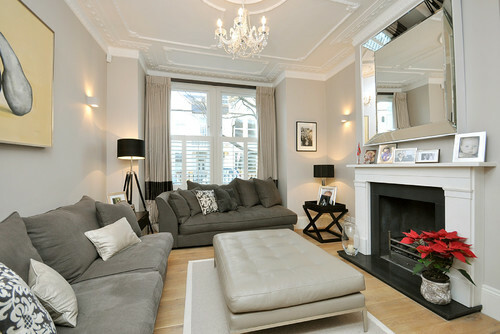 A mirror is a great addition to the living room. It creates the illusion of space by doubling whatever it reflects and bounces off light within the room. Aside from its functional properties, a mirror brings in beauty that enhances any style of the living room. A wall mirror in a simple yet classic white frame graces the mantel above the fireplace. Its design mimics the clean and polished look of this room and the frame color complements the muted colors of the background. For a sophisticated, metro chic look, a large black mirror is securely hung on the wall. 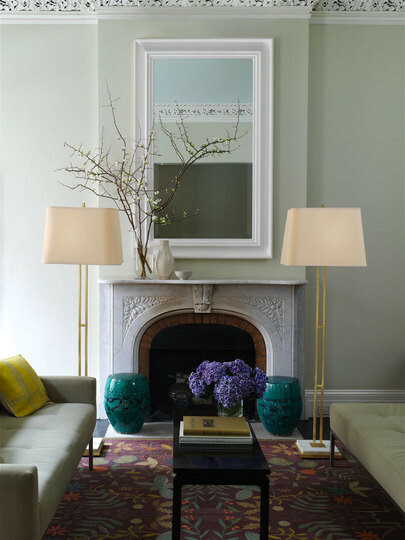 The size gives a big impact to the design and the color of the mirror’s frame creates a beautiful contrast in the neutral color palette used in the living room. A black framed mirror is a good accent piece when you’re decorating a room that’s used mostly whites, creams, and beige in the design. A beveled mirror adds a unique depth and dimension to any room. It brings elegance and refinement. If you want to add shine and shimmer to your living room, consider having a beveled mirror. This room looks longer because of the rectangular mirrors on the wall. 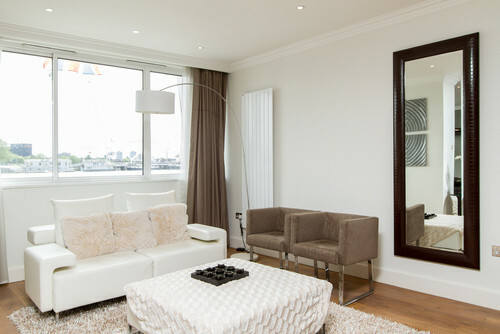 The mirrors lengthens the room and they reflect the nice view within and outside the room. The frame complements the style of the room with its simple cut and design. A corner in the living room shouldn’t be left bare. A thin framed mirror fits perfectly in this little space adjacent to the window. It reflects natural light which gives some illumination to the area and the shiny surface of the glass brightens up this small corner. A large mirrored wall opens up this family room. 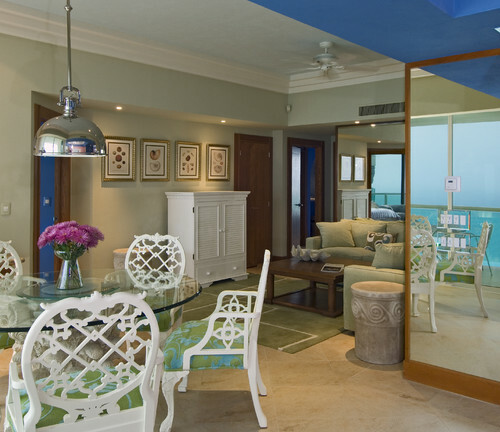 It reflects different hues of blue from the turquoise sea, light blue sky, up to the dark blue ceiling. It serves as a functional and decorative element in the room. MirrorLot provides large, oversized mirrors for your decorating needs. We custom make mirrors for the home, office, and any business establishments for over 30 years. 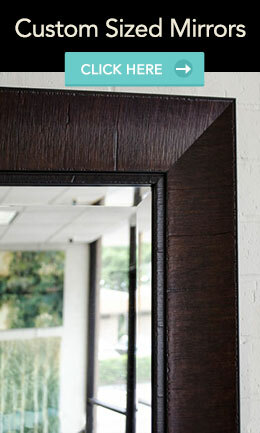 Visit our website at www.mirrorlot.com to know more about us and our mirror products.